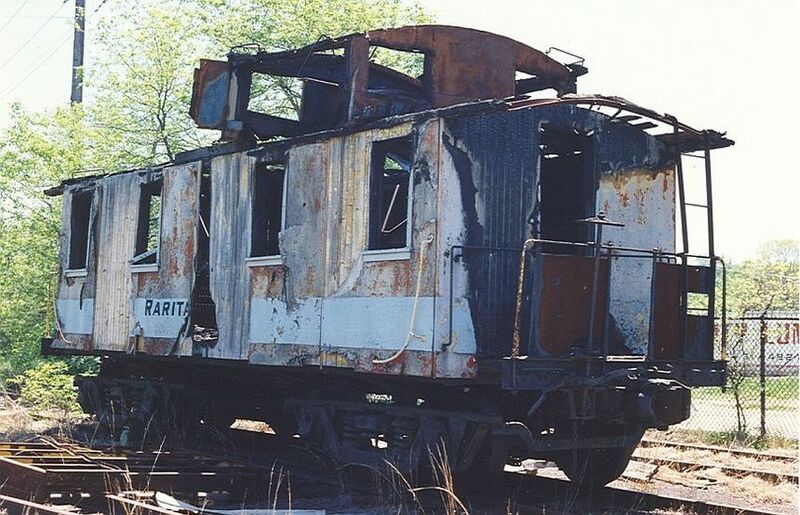 Burnt out Raritan caboose sits in the abandoned yard. Photographed by Mark Beebe, May 22, 1994. Added to the photo archive by Mark Beebe, December 12, 2005.